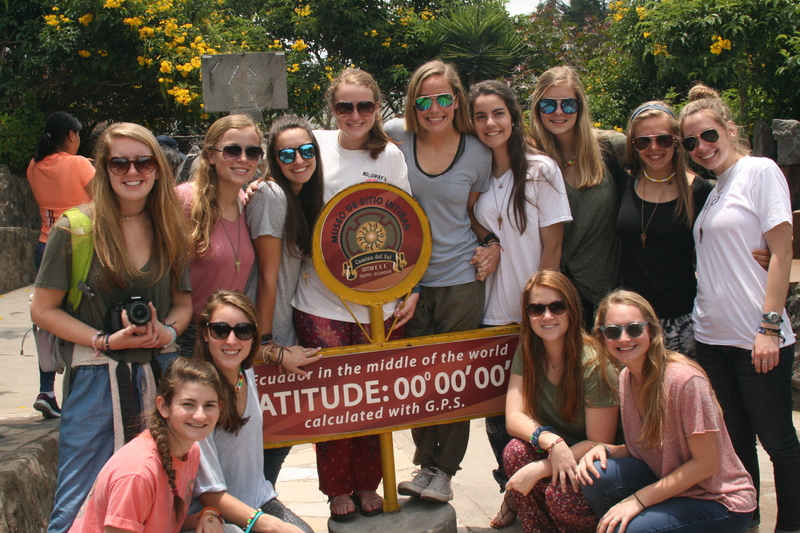 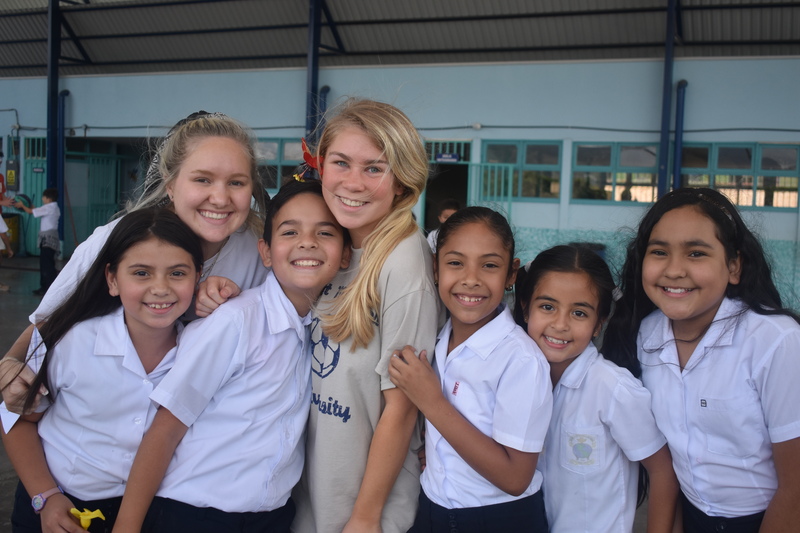 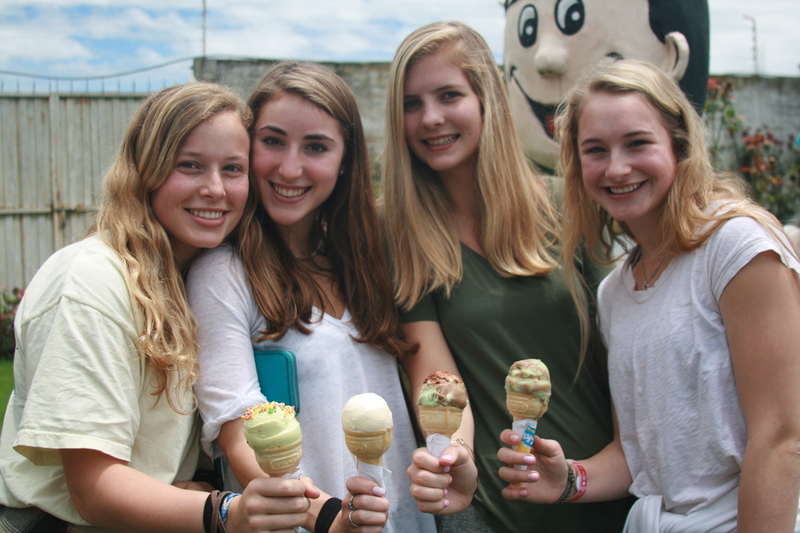 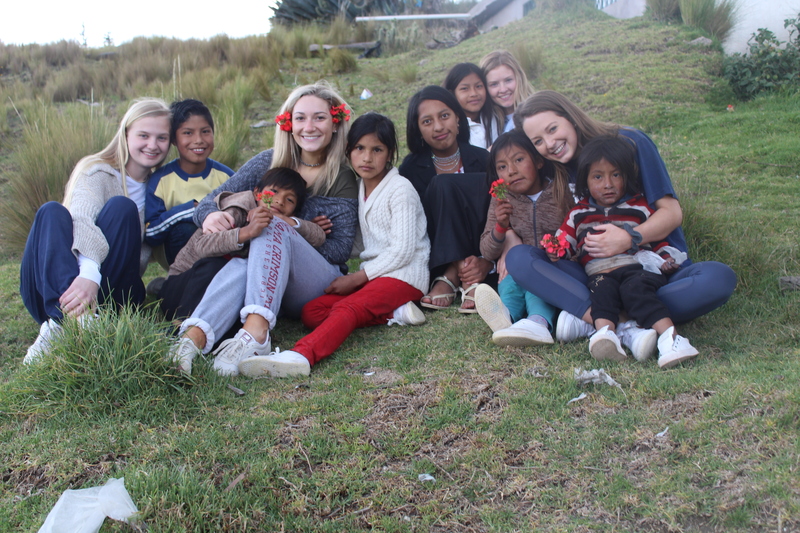 Girls of the Ecuador trip smile as they are in the middle of the world. Payton Kaloper. 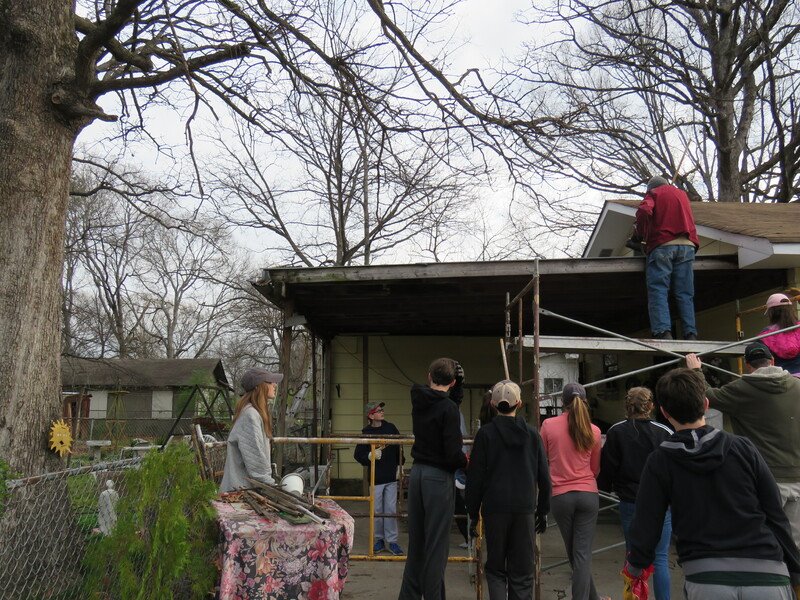 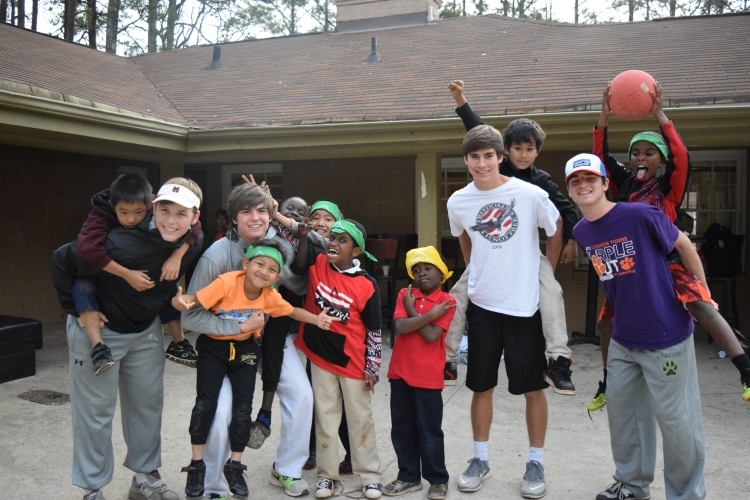 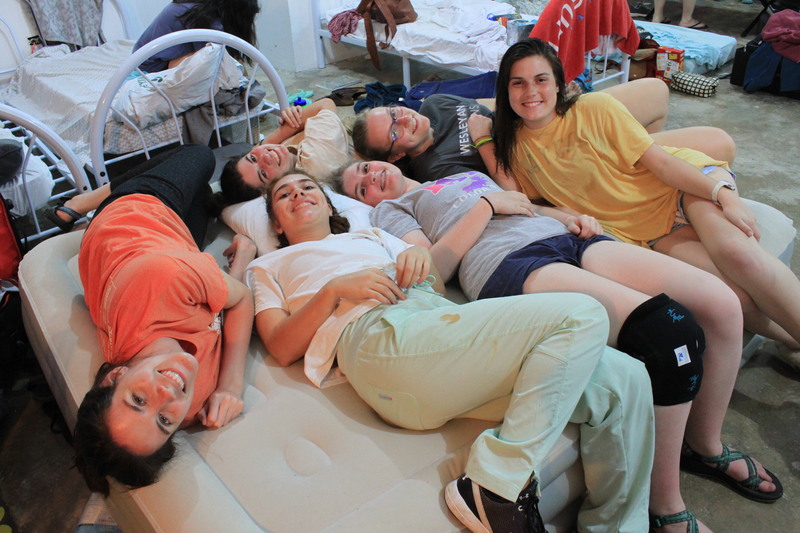 The Atlanta mission trip team spends a night together preparing for their spring break excursion to the city. 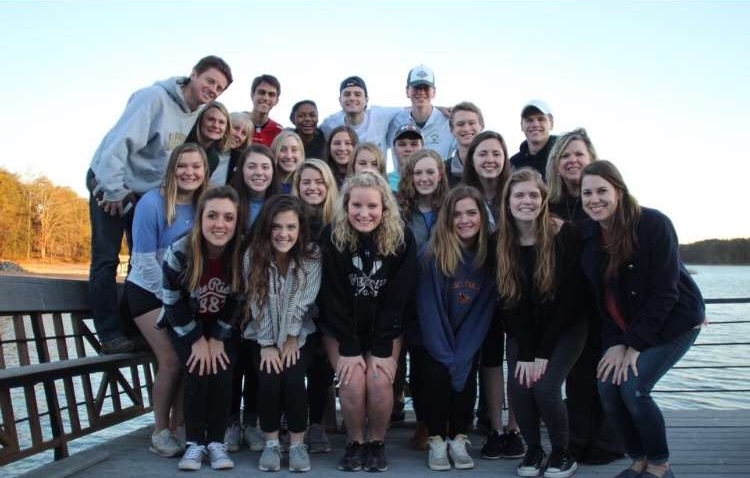 Top row: Sarah Adams (12), Gabi Grogan (leader), Chris Paroli (leader), Wyatt Stall (12), Reed Thomas (12), Hampton Henderson (10), Willem Conley (11) and Russ Foust (11) 3rd row: Amaya Register (11), Sutton West (11), Kris Laurite (10) and Kerri Dobo (leader) 2nd row: Matthew Stainback (10), Richard He (12), Grace Chapman (12), Griffin Massey (10), Will Rainwater (10), Gabby Hernandez (12), Molly Bradach (11), Madeline Benfield (11), Ana Hanger (11) and Jessie Smith (12) 1st row: Georgia Kuehn (12) and Laura Von Bargen (10). 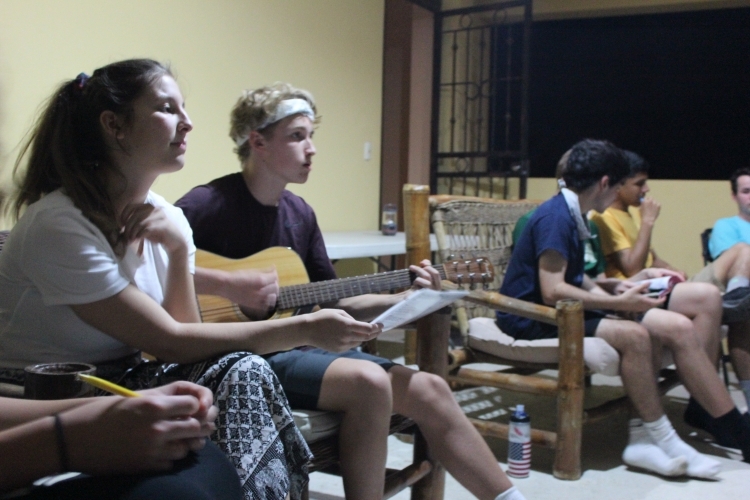 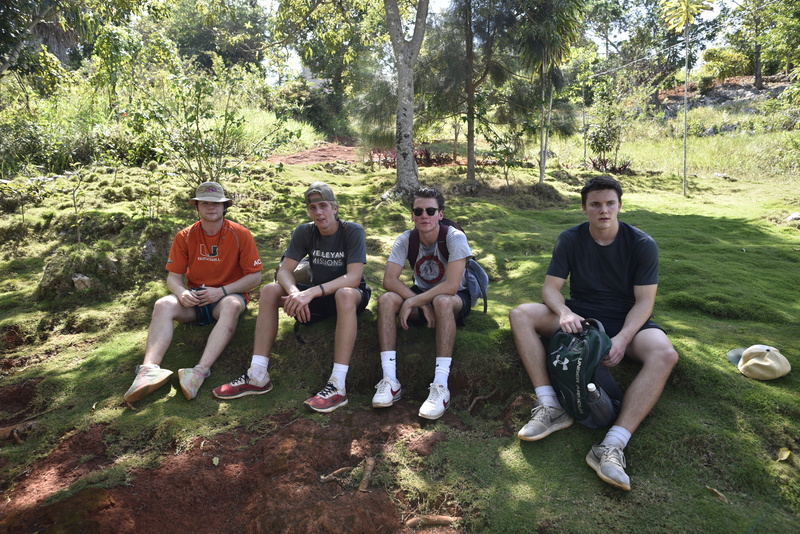 The Jamaica mission team grows closer at a meeting at senior, Nick Eversbusch’s house. 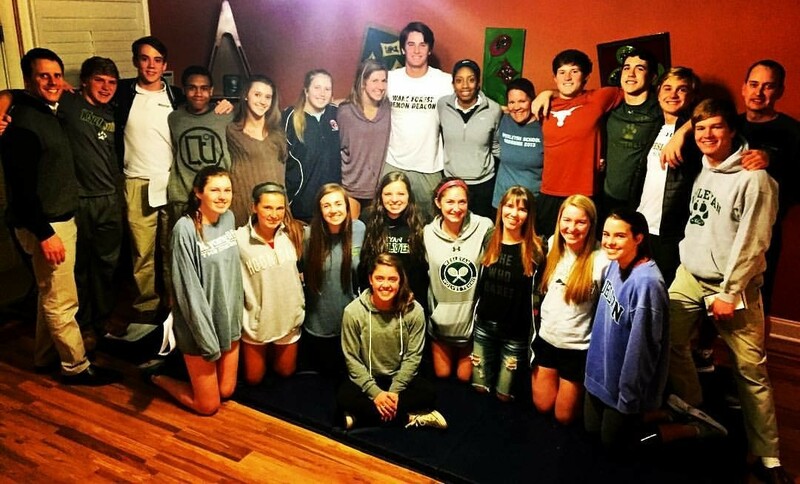 Top row: Kevin Kadzis (leader), Watson Copeland (11), James Claffey (12), Nico McKenzie (11), Mary Claire Harpole (11), Cassie Henning (11), Caroline Gross (11), Banks Ramsey (11), Mikayla Coombs (12), Lacy Gilbert (leader), Sam Gottlich (12), Daniel O’Sullivan (11), Nick Eversbusch (12), Dean Jackson (leader) and Will Brown (12). 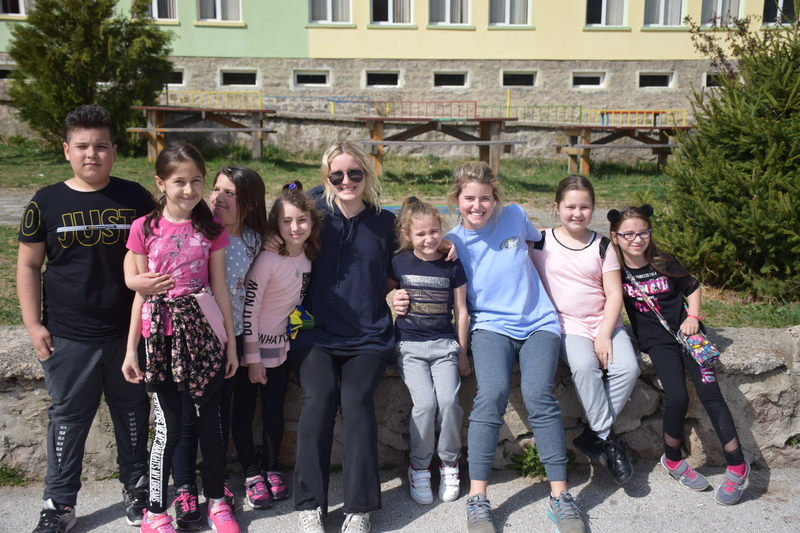 Bottom row: Olivia Jordan (12), Gracie Mitchell (11), Sadie Prince (11), Sydney Millikan (12), Sam Laurite (12), Rylei Tamel (12), Abbey Gritters (12), Katie Stipe (12) and Katie Bazzel (leader). 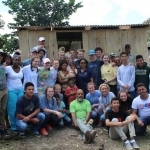 The Dominican Republic SCORE mission trip spends their weekend retreat growing closer at Whitney Archer’s mountain house. 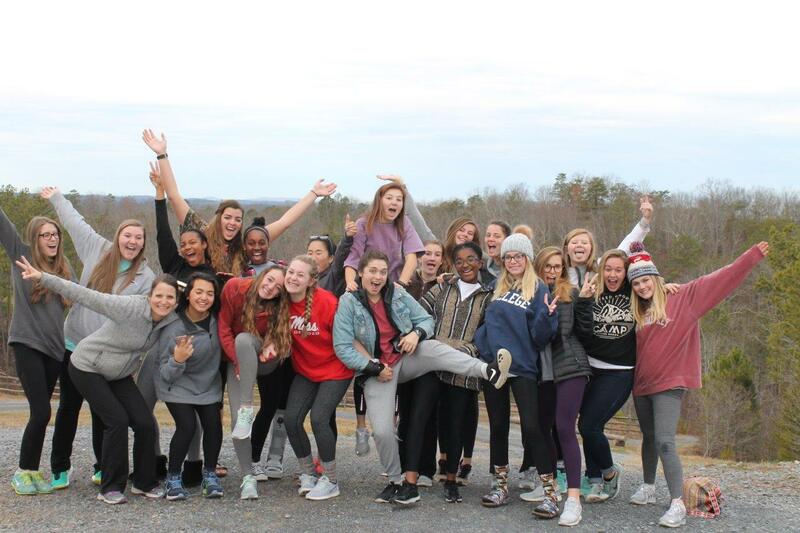 Top row: Lauren Pavelec (11), Olivia Frank (12), Meagan Lynch (11), Natalie Armstrong (12), TJ Anderson (12), Sophia Kim (12), Whitney Archer (12), Grace Kennedy (10), Julia Childers (12), Emily Greer (12) and Makena Renz (12). Bottom row: Knoxie Roche (leader), Tatiana Hamade (11), Haden Jones (10), Callie Weaver (10), Kat Saylor (10), Hannah Sterling (10), Sarah Moon (11), Paige Prettyman (12), Megan Trotter (leader) and Lily Rudder (11). 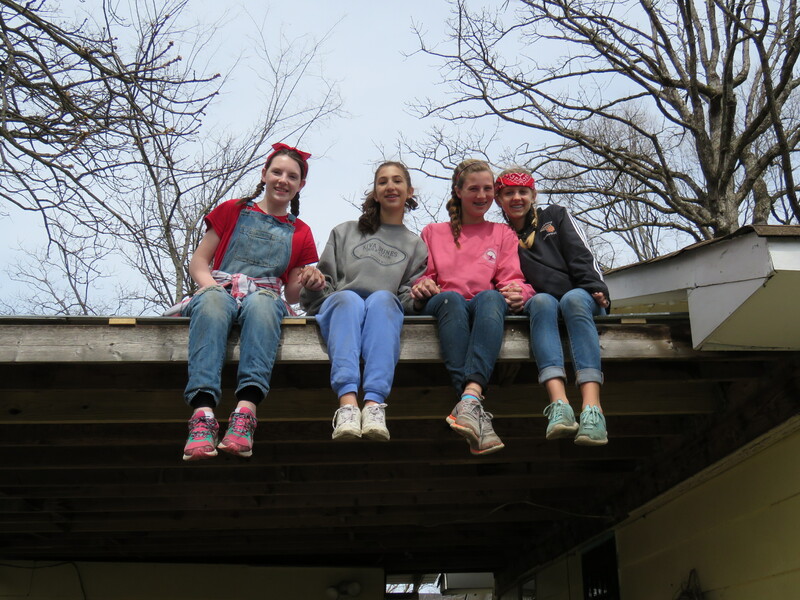 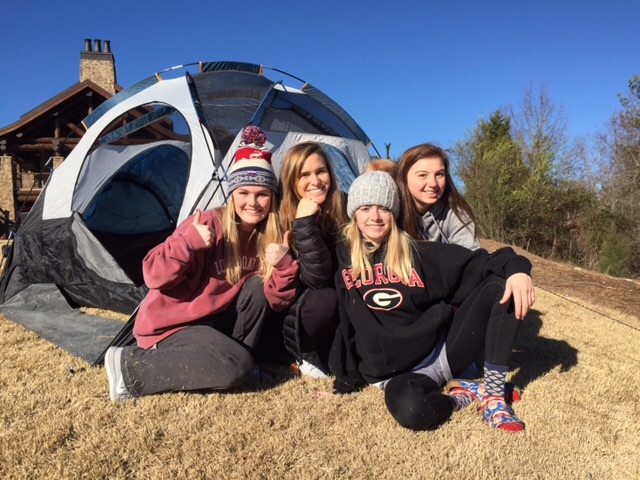 Lily Rudder (11), Paige Prettyman (12), Whitney Archer (12) and Sarah Moon (11) enjoy camping in preparation for their trip to the Dominican Republic this spring break. 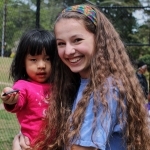 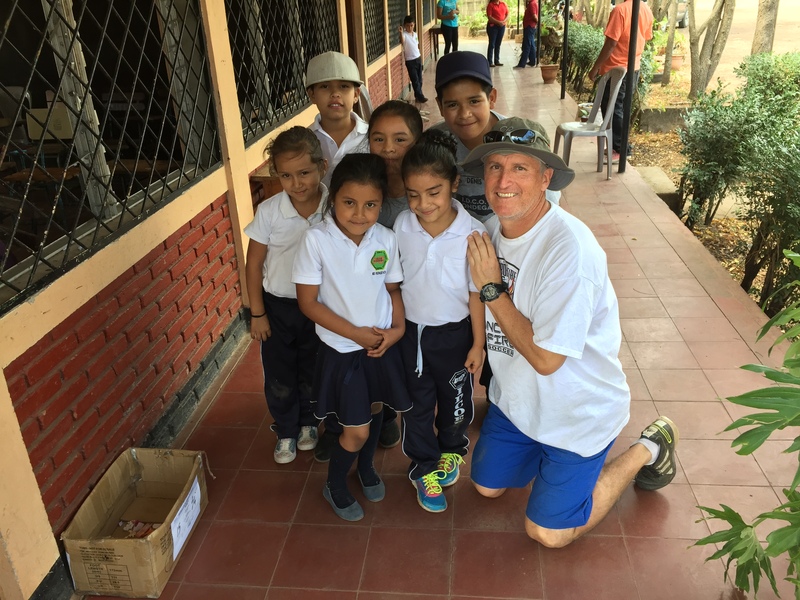 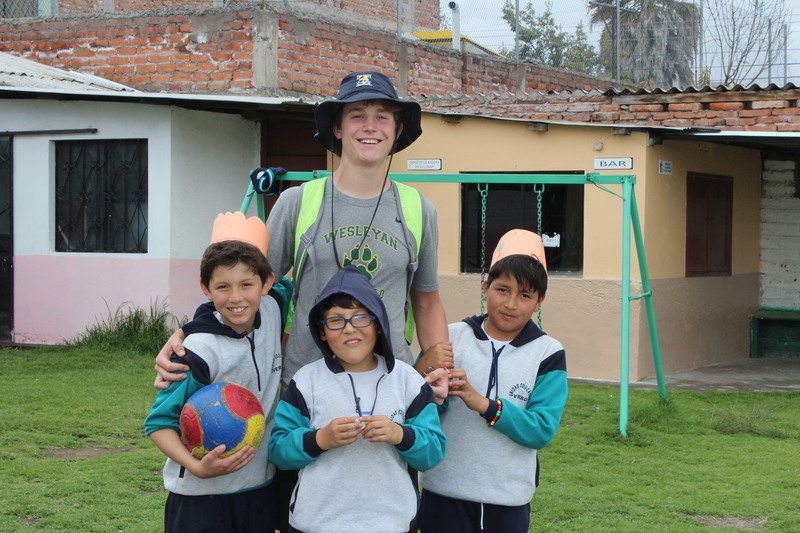 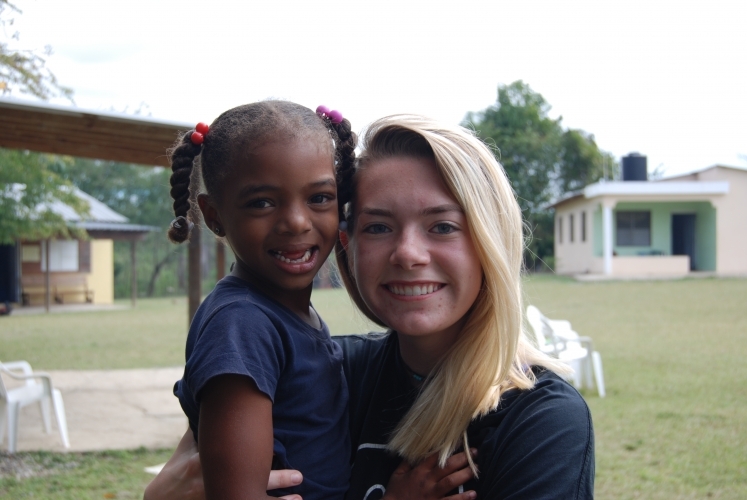 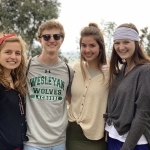 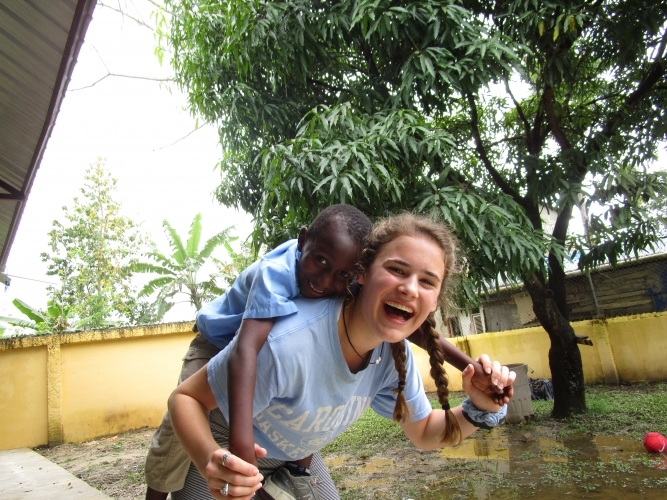 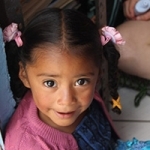 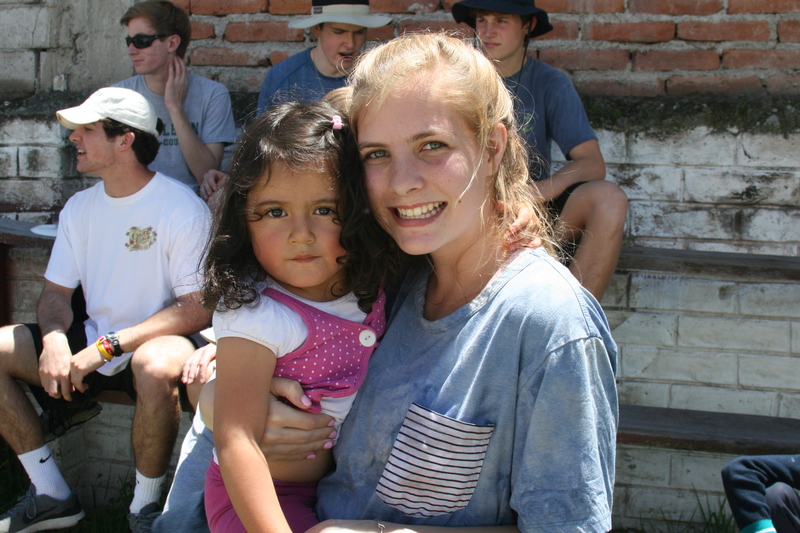 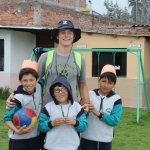 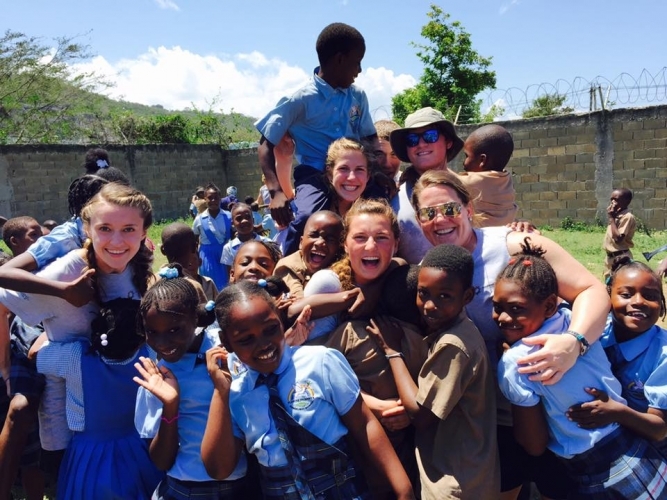 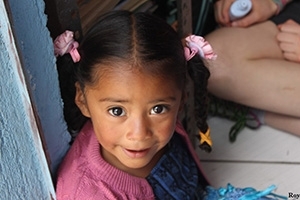 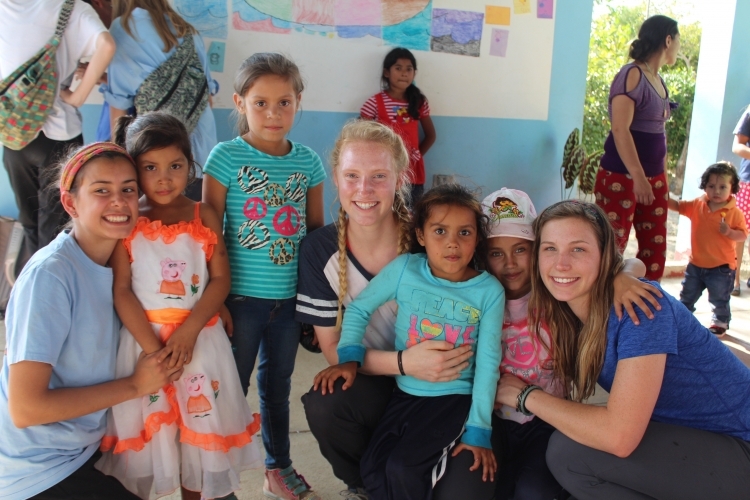 Mission trips, the staple of Wesleyan spring breaks, are quickly approaching. 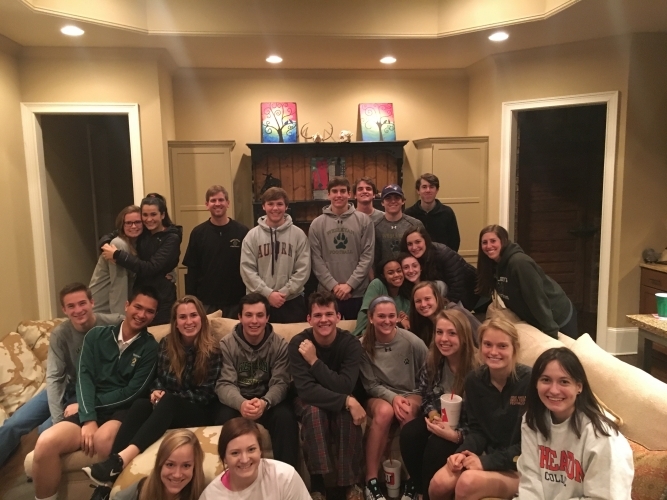 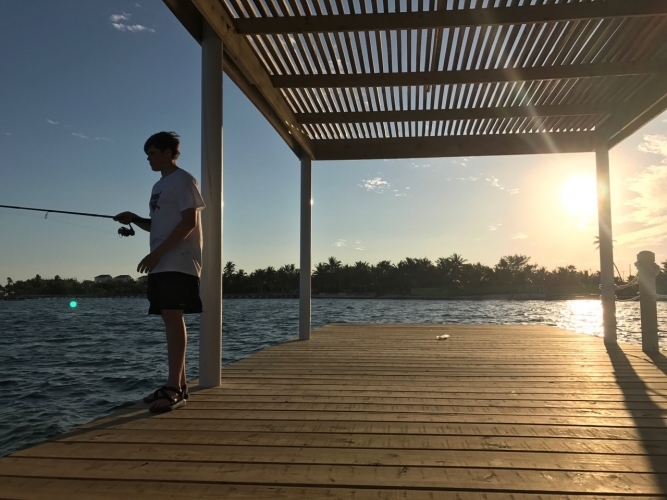 With these trips coming up, mission retreats are put in place to allow teams to really get to know each other before their trip. 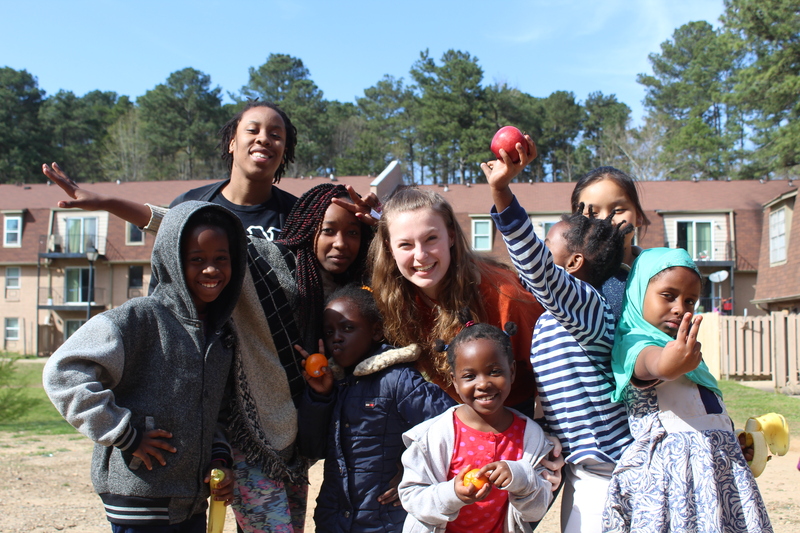 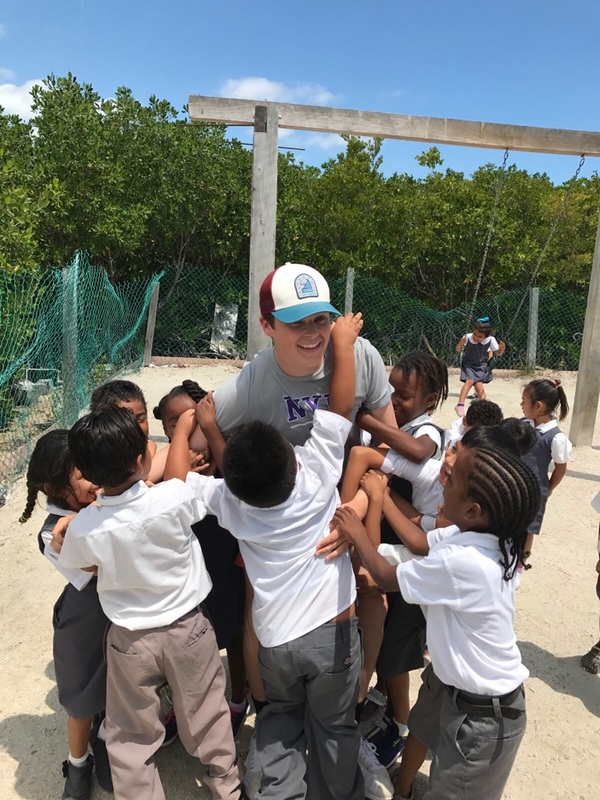 This year, Wesleyan is sending out ten different mission teams: nine during spring break and one, South Africa, during the summer. Before they depart on their trips, the teams get to know each other better and bond as a team with a retreat. 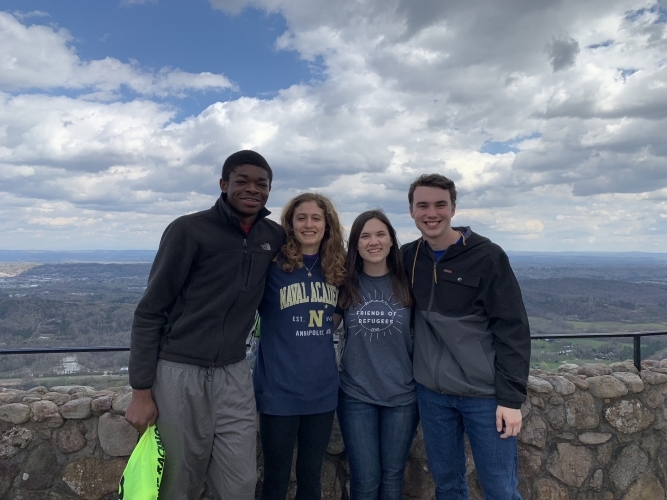 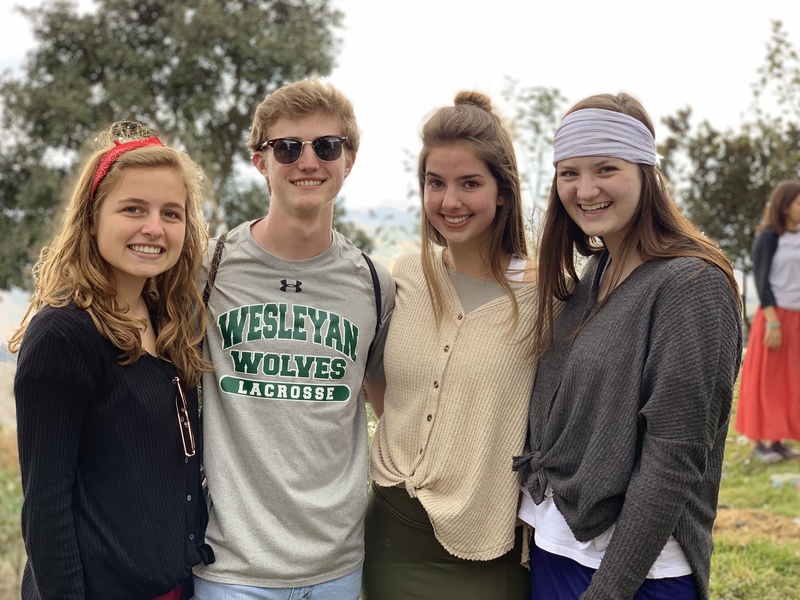 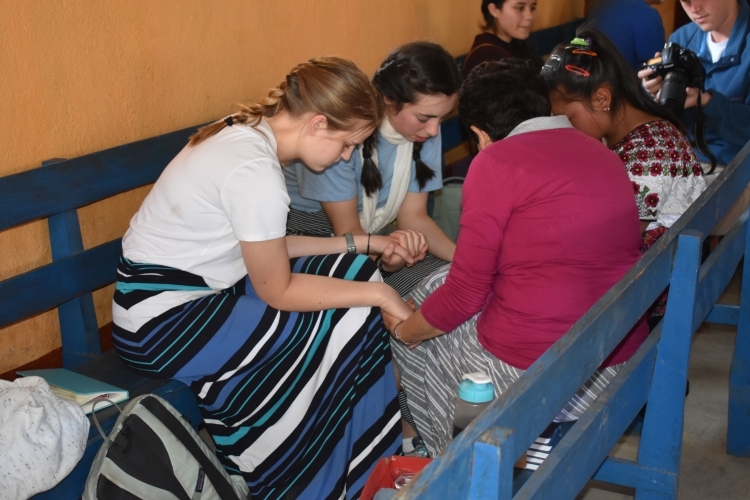 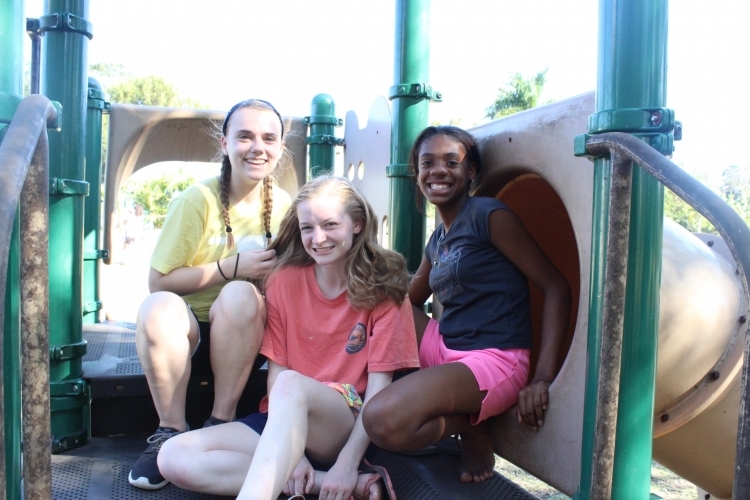 The purpose of the mission retreats is to “allow the teams to get away from the hustle and bustle of Wesleyan, from sports, from home and have a focused 24 hour period of time together to grow into a team,” said Amelia Davis, Dean of Student Ministries.